← Nyaru Menteng to Release 4 Orangutans! When we first encountered Tarzan, this 17 year-old male orangutan looked positively dashing. Tarzan already had his cheek-pads and for most people, a tall and big orangutan with full-grown cheek-pads intimidates and terrifies them. Thus, the local community who encountered him in the vicinity of a plantation asked the BOS Foundation to help take him to a safer place. The BOS Foundation’s rescue team rescued Tarzan on May 16, 2004 and brought him to Nyaru Menteng. During his first few years in Nyaru Menteng, Tarzan tried to damage and unbolt his enclosure, at least 3 times! He clearly wanted to go back to wild. Now, Tarzan is 24 years old and very healthy. Weighing 78.3 kg, he is more dashing than ever. 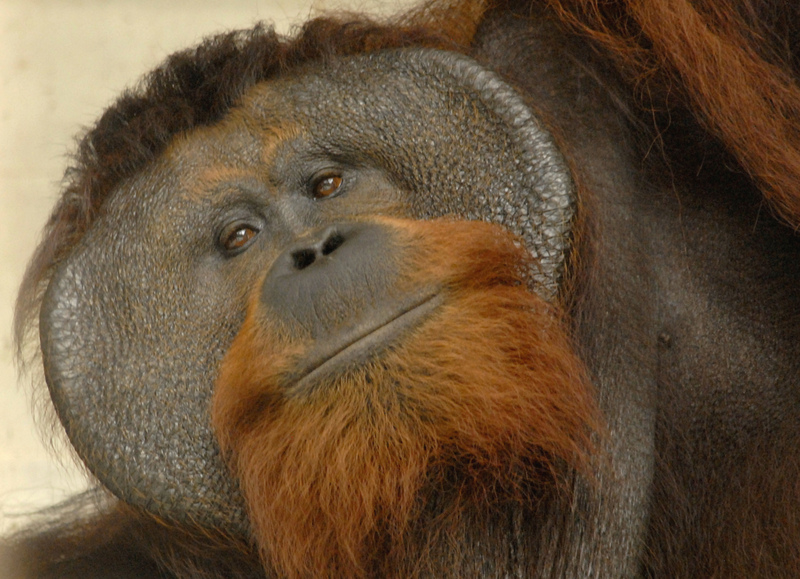 This handsome male orangutan with a golden-brown mustache is waiting to be returned to the forest. There will be no bolt to damage and no enclosure to escape from. Tarzan will be free. Such a joy to read this roam free at last Tarzan!!! Fantastic News, free at last, as you should be. Well done the Bos Team for allowing this to happen. I think that it is great that you guys have let him go. It is good to know that my passion is Being treated fairly.that is a good thing. I wanted to know if you guys revived some money from stockdale road primary? If you have I wold love to know how much. I am in hospital atm and Tarzans going back into the wild has made me cry with happiness. When I get out in 3 weeks I would love to visit and make donation personally.